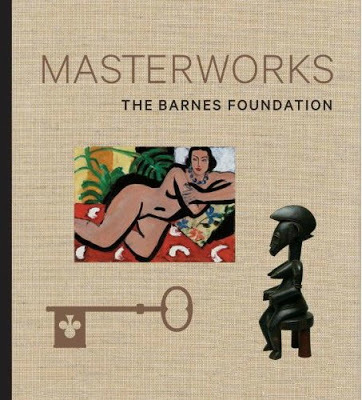 On May 19, the Barnes Foundation opens the controversial new building to the public, but wouldn’t a trip to the gift shop be equally disturbing for old man Barnes, who included a stipulation in his will that prohibited reproducing the paintings in color? Pictured below is some of the merch currently available at the Barnes Foundation’s online gift shop. Perhaps the paintings depicted on the clothing and umbrellas aren’t from the Barnes Collection, but, either way, I can’t imagine Barnes would approve this type of merchandise. 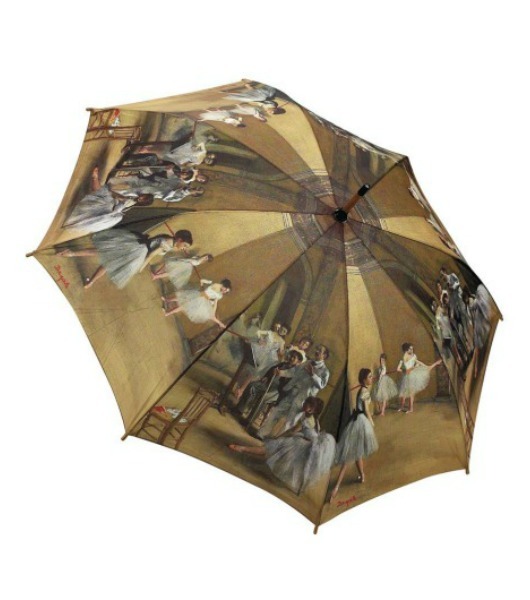 Degas Dance Umbrella: Push button to open and close. 100% Polyester. 12 in. tall when closed. 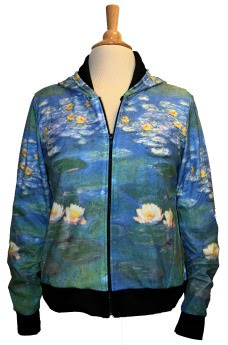 Monet Waterlilies Hoodie: Hand-silkscreened on poly-cotton. Hand wash. Sizes S(4-6), M(8-10), L(10-12), XL(12-14). 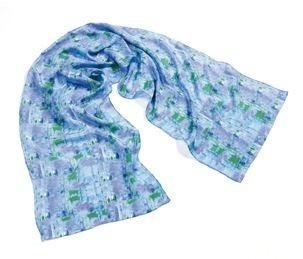 Cézanne Brushstroke Scarf: This pure silk scarf captures the beautiful blue brushstrokes from Cézanne’s rendering of the sky in one of his many landscape paintings. Dry clean only. The Barnes Foundation: Masterworks, with texts by Judith F. Dolkart and Martha Lucy. Lest readers think Im anti-art-merch, I grew up making jigsaw puzzles that depicted Impressionist paintings and playing Masterpiece, a board game in which players compete for artwork at auctions, so I understand the value of exposing kids to images of art around the house. But if Barnes specified in his will that he didn’t want these particular paintings reproduced, isn’t this new licensing policy, which seems to go miles beyond simple color reproductions, completely insupportable? I hope none of the reproductions on umbrellas and/or hoodies came from original works in the collection. However, there were cons to staying put – the museum was hard to get to, offered a tiny parking lot, was stacked floor to ceiling with masterpieces in a space that wasn't secure or well managed. Barnes' original intent was to educate under privileged kids. I agree that the setting was wonderful, but was it practical in offering a greater public, access? Something tells me they won't be selling "The Art of the Steal" DVD.